For the birds: Sunset in the Everglades. Florida’s Everglades is one of the most diverse – and endangered – ecosystems on earth. Pink flamingoes and (below) floating aquatics. On Earth Day 2015, President Obama chose the Everglades as the backdrop for his speech on the impacts of climate change. The setting was apropos, given that these 1.5 million acres comprise not only the largest protected subtropical wetlands in the U.S., but also one of the most diverse habitats on the planet. 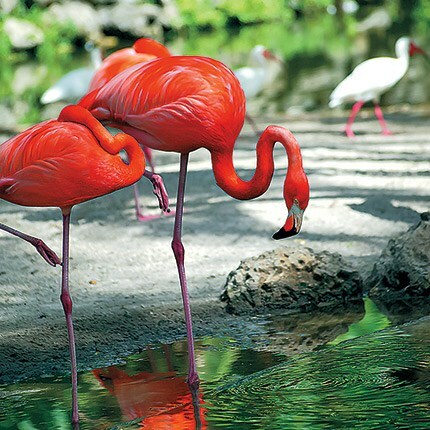 Designated a UNESCO World Heritage site, Everglades National Park hosts some 1,300 species of flora – including cacti, bromeliads, and nearly 40 types of orchids – and is the most significant breeding ground for wading birds in North America. What’s more, one in three Floridians count on the Everglades for their water supply. Private guided pole boat and airboat tours, along with a sunset Champagne excursion to a bird rookery, top an eight-day, custom-crafted exploration of the Everglades and South Florida with Virtuoso’s on-site tour provider. Pedal through the Everglades’ pine savanna and venture into a swampy cypress dome on Backroads’ six-day multisport adventure. Other highlights include kayaking in the Florida Keys and strolling Key West. The Ritz-Carlton, Naples, a 450-room resort overlooking the Gulf of Mexico, offers guided Everglades excursions that include a visit to historic Everglades City. … and 3 Ways to Help Preserve It. Everglades Foundation – Conducts and sponsors scientific research to help understand, restore, and protect the Everglades’ unique ecosystem. 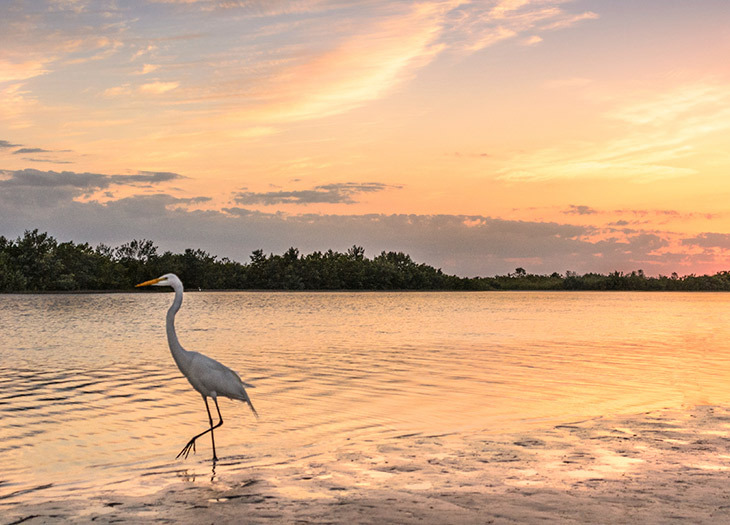 Friends of the Everglades – Founded by famed journalist and staunch environmentalist Marjory Stoneman Douglas to encourage governmental protection for the wetlands. National Wildlife Federation – Works to ensure that state and federal Everglades protection and restoration acts are properly funded and enforced.